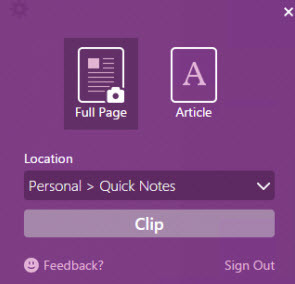 OneNote Clipper 2.0 from microsoft is now available for download. What’s new in this version? Redesigned user interface with animations. Intelligent Clipper – automatically detect that the site you want to clip contains an article, recipe or product and show you only that content.